Page 72 — First Root’s disdain for her brother’s choice, then Bone’s Jo’s sneering, and now even Cook? What is wrong with farming? Hi everyone, welcome to the new posting schedule! Now you can face Monday morning with a brief break for a breath of bracing salt sea air aboard the Mermaid! 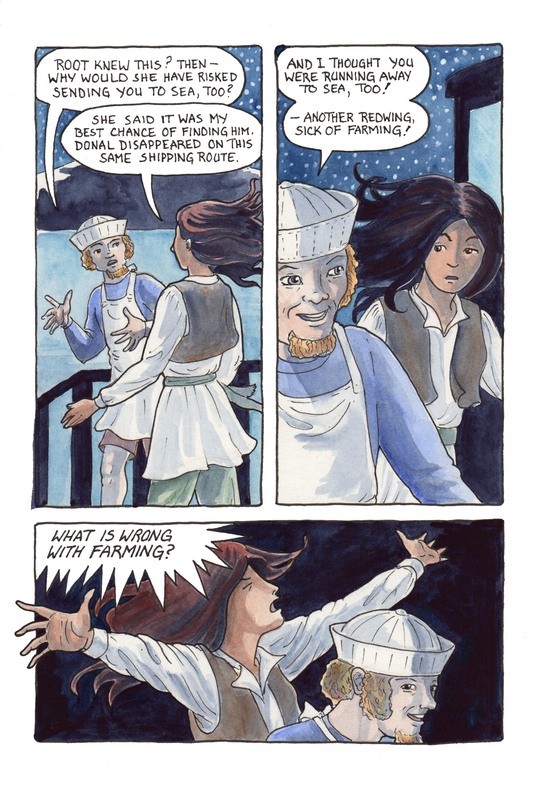 This comic was posted in Mermaid Music and tagged comic, fantasy, graphic novel, mermaid comic, sailors, sea comic, ship, ship's cook, watercolour, webcomic.